Below are some questions many clients have when they first contact Foster Web Marketing about the online marketing world. The questions below may address many initial concerns you may have. If you don't find your answers here, you should contact us for answers to any questions specific to your firm. How often should I redesign my law firm's website? The short answer is that there is no set schedule for updating your attorney website design. However, don’t let that fool you into believing that design updates are unnecessary. Time moves fast on the Web, and a site that was beautiful two or three years ago could already look outdated and shoddy today. It’s sad, but true! Pull up your website right now on your phone or desktop. How does it compare to other sites you’ve visited today? How does it fit with your current brand image and services? If you’ve taken a good look and still aren’t sure if your law firm is ready for a website redesign, here are our best tips for deciding when the time is right. Your website looks outdated. Tastes and design trends change over time, and users expect websites to keep up with the times. Does your website look modern, or does it stick out like a sore thumb next to more current sites? Look at your competitors’ websites to see how yours compares to others in your industry. Think about the other websites you visit every day. The comparison makes it much easier to decide if the look and feel of your own site are in line with your visitors’ modern expectations. Your website is built on outdated technology. The look of your website aside, users also have evolving preferences for how they access, navigate, and use your site. Backend technology and online possibilities evolve along with those preferences. A redesign can offer better security, better navigation, HIPAA compliance, and a device-responsive mobile site. Lots of small changes to website best practices add up over time, and even a simple redesign can make a big difference in how your website works and what it can offer to potential clients. Your law office moved, or your areas of practice changed. You don’t necessarily have to redesign your website every time something changes, but it’s worth considering if your law firm makes a major change in location or offerings. A redesigned website can help to inform your potential clients about your new services, attorneys, or offices, and it also gives you a fresh canvas for changes to your overall digital marketing strategy. You’re starting a fresh digital marketing push or rebranding effort. Your website is the hub and funnel of everything you do to market your law firm online. If you make any kind of major change to your digital marketing strategy or online image, then it is critical that your website seamlessly reflect your new focus. Sometimes, you can effectively work within the bounds of your old design. Other times, it just makes good sense to start fresh. Your website offers a bad user experience. Your website will make a bad impression on potential clients if it is slow, hard to use, or does not work as intended. If an outdated website is getting in the way of the user experience, then it should be a giant red flag that you’re ready for a design update. Your content is difficult to update, find, or promote. Older websites are not always prepared for the modern, interconnected internet. If you can’t do much with your content besides publish it to your website, then a redesign can be a real game-changer. Modern designs can include social media sharing, improved navigation to important content, and ways to highlight what is most relevant. If you already have a ton of content on your old site, a redesign is also a good time to perform a complete content audit. 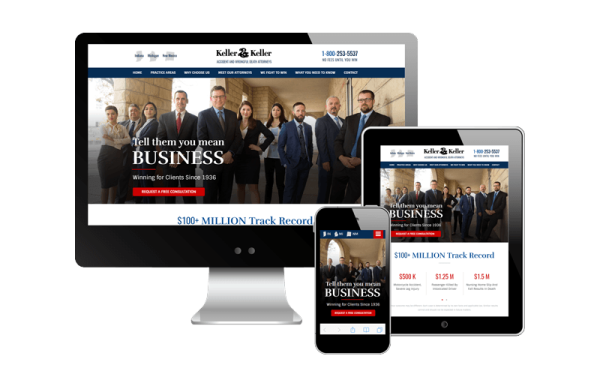 If you are still looking for answers about when to redesign your law firm’s website, we can say that we generally recommend that our clients shoot for a site-wide redesign every few years. This keeps you on top of all the current trends and best practices, and you can be sure that your website continues to deliver a great user experience and convert your perfect clients. A redesign can consist of small updates, or it can be a complete overhaul, depending on what is most appropriate for your law firm. If you aren’t sure how your website measures up to current design trends and technology, contact us for a free website design consultation. We would be happy to show you how your website stacks up, what is working well, and what can be improved with a fresh design. How often should you add new content to a law firm’s website? Fresh content is good for your website’s visitors, and it also lets Google know that your website is alive and kicking. Adding and updating compelling content frequently means that you stimulate more keywords, attract search engine crawlers more often, increase your online authority, and give your visitors something of value. That’s hard to beat! Google considers a lot of different ranking factors, but the “freshness” of a website is one of them. While updating your content won’t necessarily rocket you to page one, it’s a good practice that is truly the core of effective content marketing. But how often is often enough to add new content? 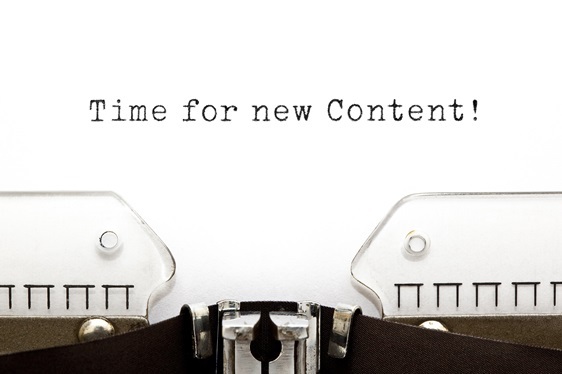 The quality of your content will always be more important than how frequently you update. If you are focusing on in-depth, “evergreen” content (content that doesn’t lose its relevance to your perfect clients over time), then you can worry less about quantity. “Evergreen” content should be content that your audience can really dig into. It should also help you set yourself up as an authority in your field—both in the minds of your readers and search engines. Even just a handful of informative and engaging posts or pages each month can be enough to do the job. However, even the classics can get a little stale over time. Improving and updating your “evergreen” content once in a while can add freshness to your website. Search engines recognize page edits and user comments as a sign that you’re alive, so you don’t necessarily have to add brand new content all the time. Visitors also appreciate websites that offer the most current information in a seamless style that matches what they see on your other pages, so edits and updates to older content can improve the overall user experience. The goal with evergreen content is high page views, low bounce rate, and longer session lengths. If you’re not seeing those kinds of numbers on your “evergreen” pieces, then you know they’re ready for some tweaking. Your law firm’s website isn’t just an information resource, though. It is also an important tool that helps you attract the right kinds of clients to your services and convince them to convert. That means that more regular updates are important to you in a way that they aren’t for a purely informational site. Frequent content updates help keep you top of mind, and adding new pieces gives you a steady stream of fresh content to promote through social media, email campaigns, and more. While you don’t want to wait so long between updates that your audience forgets who you are, you also don’t want to overwhelm them by pushing out so many updates that some get lost in the shuffle. Start with a simple digital content schedule that you and your marketing partners can comfortably maintain. This may mean posting new content a few times a month or a few times a week, depending on your resources and the size of your audience. After that, you can adjust your frequency as you test and measure your performance. Your website’s content should grow and evolve with the success of your website, your business, and your target audiences. There is no single answer about content frequency that will work for every law firm, but that doesn’t mean you can’t find a schedule that will fit your and your perfect clients’ needs. If you need help, contact us at 888.886.0939 or sign up for a free FWM analysis with our team. What topics should I write about for my personal injury website? Personal injury attorneys typically work with a wide range of clients who have been hurt in very different kinds of circumstances. One of the biggest challenges on personal injury websites is to create content that can resonate with all the kinds of “perfect clients” you might be looking for. The next biggest challenge is organizing it all in a way that makes sense to readers and leads them toward the right goal. If you’re having trouble coming up with ideas, you can get started by looking at our general guide to finding topics for website content. However, personal injury law is a broad industry, and your content will benefit from ideas that are a little more focused on what you do best. In DSS, you can organize your website’s content under different “service areas.” For most personal injury law firms, especially large firms, this is a deceptively simple way to organize big blocks of content into digestible topics for your readers. This can also help you focus your website on the types of clients you’re most interested in working with. You can then write content that is focused on the subgroups of auto accidents that are most relevant to your firm, assign it to the appropriate service area in DSS, and give readers much better options for narrowing their search for content on your website. 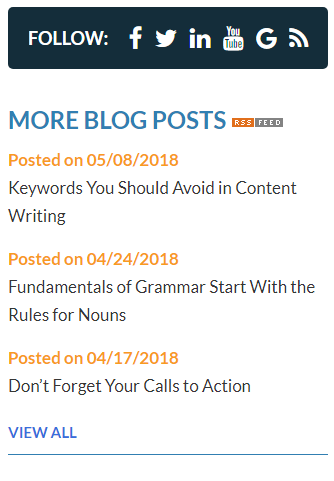 By writing content that speaks directly to the unique circumstances of each subgroup, you will also generate better and more natural “longtail” keywords that help bring more relevant people in from Google searches. Breaking auto accidents into smaller categories can also help you come up with tons of highly focused ideas for great content. For example, think about what makes a commercial truck accident different from a wreck with a personal vehicle. What kinds of questions would someone have after they’ve been hit by a drunk driver? What kinds of injuries are more common in certain types of accidents? For the auto accident portion of your practice alone, the potential topics are nearly endless. Medical and drug injuries. If medical and pharmaceutical injuries are a component of your practice, consider writing content that is focused on the major subgroups of cases you take. For example, you might write content that focuses on birth injuries, malpractice lawsuits, or mass drug recalls. You might even create a “cluster” of information-rich articles around a very narrow topic or case type to help launch a focused campaign, such as content about knee-implant litigation or mesothelioma lawsuits. Premises liability. Dog bites and slip-and-fall accidents may not be your main focus as a personal injury attorney, but you may want to have a few pieces of content that speak to premises liability clients. You don’t have to go crazy creating content for these cases if they aren’t a main focus, but having a few relevant pieces can help bring in potential clients and educate them about the kinds of cases you take. Maritime and workplace injury. If you work with clients who have been injured at work or at sea, your content can be the key to their understanding of the different laws and regulations that apply to their circumstances. This is your chance to explain complex information in an approachable way and really show off how you help. Think about what your potential clients need to know after they’re hurt working on the oilfield, with a railroad company, on a vessel at sea, or at an unsafe construction worksite. Wrongful death. Surviving family members often have a lot of questions, and you can provide a more comfortable user experience by writing content that is specifically focused on them and their needs after the loss of a loved one to negligence, regardless of the cause. 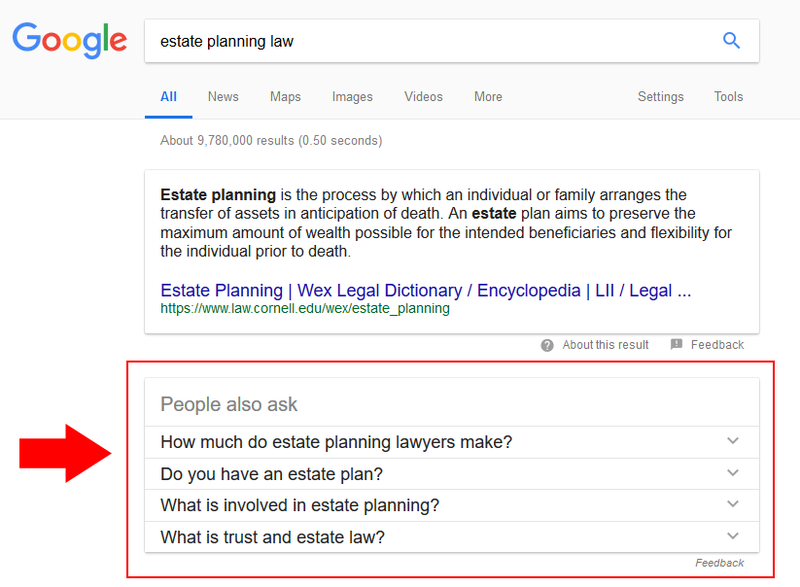 Check out step two of our guide to estate planning topics to find out how to dig deeper for topic ideas with a quick Google search. This really is a quick and easy way to find out what else is out there, what kinds of competition your potential clients might see when they search, and what kinds of topics you might have overlooked. If you’re producing a lot of content across a lot of different practice areas, we also strongly recommend that you plan out a content strategy. With a plan in place, you’ll already know what you need to write about and why, which means less time spent staring at a blank page without ideas. An organized strategy also gives you a better foundation for tracking and analyzing your success with the content you write. Storytelling with case results can also be an awesome source of content that resonates with your readers. Case stories tend to be “evergreen” content that showcases you at your best and educates potential clients by example. If you’re still having trouble finding engaging topics to write about online, talk to us about a free FWM marketing analysis, which will give you a better idea of how your content is going over with your readers and what you can do to increase engagement with the potential clients who matter most. We are dedicated to your success, and we love talking about how attorneys can create better content for the Web. What's the best way organize my law firm's website content? Then, when people then look at the blog page on your website, they’ll have the option to narrow their browsing by the topic they’re most interested in: Because your “perfect clients” search the Internet for everything, it is wise to constantly improve and update the content you write for your website. While what you write for your potential clients is important, curating your website’s content may be even more important in a digital world. You can write exactly the kind of content that your perfect clients are looking for, but still see it fall flat because it’s hard to find and poorly organized on your website. Are you ready to whip your website’s content into shape? You might want to get started by performing a complete content audit. This process will give you a better idea of what kinds of content you already have and how to categorize it in a way that makes sense for you and your readers. After that, it’s time to roll up your sleeves and start organizing. You may be a personal injury attorney, but your cases probably fall into a few specific categories. For example, you might primarily do car accident cases, wrongful death cases, and dog bite cases. If you want to improve your online content and make it work better for you, you may need to break down your practice into appropriate “service areas” based on the kinds of cases that best represent your practice or that you want to attract. After all, someone who is attracted to your website after a dog bite is unlikely to be interested in your guidance for car accident victims. Make it easy for them to see only the content they want to see. Organizing your content not only makes it easier for potential clients and search engines to find you, it also creates an excellent framework for your ongoing content creation. Writing content for these specific audiences will stimulate more relevant keywords and key phrases, giving you a better chance to beat out your competitors for highly specific searches. Rather than competing on a broad level with many other law firms in your area, you will get better results by focusing on creating content for the specific areas of your practice. 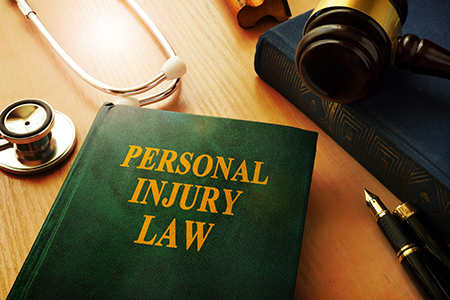 If you are a personal injury attorney, for example, try writing content focused on a specific niche of your personal injury cases rather than competing with everyone in the large pool of personal injury cases. You might create a “motorcycle accidents” category, then try writing content that focuses on what an injured motorcyclist would want to know after an accident. By writing about motorcycle accidents, you are targeting a more specific market with your attorney website content and helping to produce quicker, better results for your audience. If your goal is a quality, information-rich site that will be recognized by search engines and potential clients alike, you have to stay on top of your content. Does your content lack structure? Contact us today to learn more about organizing your online content and writing for the audiences you want to bring through your door or ask for a free demonstration of content management with DSS. What are the best practices for call-to-action buttons? A call to action (CTA) is a critical part of all the content you create to market your business. While you can write out a CTA in text or even speak it out loud in a video, using a graphical button that directs users to a contact form, offer landing page, or other goal is an attractive and effective way to entice your readers to click. Sound good? Find out how to add styled buttons to your website content. However, if maximizing clicks and contacts is your goal, not just any button will do. You can easily customize your buttons to get the most out of your efforts. Take a look at the examples below, which illustrate some of the best practices for custom CTA buttons. It uses words that entice people to click. Generic web buttons use words like “submit” or “enter.” Custom buttons let you change up the wording, but you can take a cue from the old standard by using words that stimulate action. Try to use imperative verbs (“get,” in this example), words that signal value (“free”), or words that create a sense of urgency. It is short and easy to read. Just a handful of words on the button itself should get your point across. If the text on your button runs too long, or the text is too small to read comfortably, then you run the risk of readers not recognizing it as a clickable feature. If you need more than a few words, consider using a smaller line of text underneath or over your shorter, attention-grabbing text—or save it for text alongside your button on the page! It makes effective use of simple graphics. Part of the fun of custom buttons is that you can dress them up with a little branding. The simple addition of our DSS-logo graphic brings a little something extra to an otherwise bare-bones contact form, while still looking neat and professional. The most important button stands out. If your goal is to get your readers to click, your main CTA button should always stand out on the page. Put it front and center or where the eye naturally goes as you scan through the page. Although you can put more than one button on a page, remember to use them sparingly. Giving your audience too many options will scatter your efforts and potentially leave them confused about what they’re supposed to do next. It takes color seriously. While a button works the same regardless of color, color is one major factor in how appealing it is to your website visitors. Take that into account as you create buttons for your website. Think about your brand colors and the look of your website, then create a button in colors that fit in while still standing out. Using contrasting colors or a little white space will make buttons “pop” on the background, but you can experiment with what looks best to you. In this example, the orange stands out clearly against the dark background, and the button that isn’t the main call to action uses a less attention-grabbing color. Don’t Forget to Test What Works Best! You hear it from us all the time, about nearly every aspect of your digital marketing strategy, but always test your ideas once they’ve been implemented. You can make educated guesses about what will motivate your potential clients to reach out to you or take another action, but you can never fully know for sure without tracking, testing, and analyzing the performance of your CTA buttons. Do you need help adding beautiful buttons to your website? Do you have questions about what makes a great call to action or how to track your conversions? Give us a call at 888-886-0939 to talk it over with our web marketing and design experts. Why isn’t my law firm's website getting me business? It’s a nightmare situation. You built a website for your law firm, but it isn’t helping you get new clients. What’s going wrong? If all the nuts and bolts are in place for Google to find your business and crawl your website, then the problem lies somewhere in the user experience. Look, feel, and functionality. Visitors expect a website to be easy to use and easy on the eyes. If the layout and navigation are confusing, or if your website’s design gets in the way of functionality, then you’re going to drive visitors away. This all holds for mobile, too, so make sure your website is just as attractive and intuitive for visitors using mobile devices. Content. High-quality, relevant content is what drives your perfect clients to your doorstep. If your content is thin, full of grammar mistakes, and over-stuffed with awkward keywords, then it’s time to focus your efforts on improving. Think about what your perfect clients want to know and want to read, then develop a content strategy to meet their needs. Your content should also include customized calls to action that clearly guide readers toward the next step. “Goal” pages. Speaking of calls to action, your main “goal” pages—like offer landing pages and contact forms—should be optimized to convince users to click or reach out. If people are landing on these pages because they’re interested in what you have to offer, it’s your job to make sure that it’s enticing to take action. It should be clear what they should do, what happens next, and why it’s an important step for a potential client. It is critical that these pages and forms work exactly as intended, so test them routinely. Trust signals. As common as it is to do business online these days, people are still hesitant to reach out over the internet to an unfamiliar law firm. By featuring testimonials and case results on your website, you can go a long way toward setting new visitors at ease. This is also a good time to look at your overall online review strategy and make sure that your reputation is positive and consistent across the Web. Little extras. Little touches on your website can be big converters. Along with an overall attractive and functional website, additions like Live Chat and site search can show your potential clients that you truly care about their comfort and convenience, no matter what they’re looking for. It’s a lot to look at, but it’s important that you consider everything that affects your potential clients when they use your website. Do you need help? We highly recommend that you open up your website and work through our intensive UX Checklist to make sure that your every facet is totally optimized and ready to rock for your business. You can also give us a call at 888-886-0939 to pick the brains of our digital marketing and design experts. What topics should I write about for my estate planning website? At Foster Web Marketing, we are big believers in planning out content strategies ahead of time. When you have a content plan, you have a roadmap that will help you cover all the most important topics in ways that make sense for you and your website’s users. Whether you are building up all your content from scratch with a new website or just auditing an older site’s content, here are some suggestions for topics that will help you accomplish your goals. Your first priority is to provide basic top-level content targeted toward your perfect clients. This means providing answers to the most basic questions that they may have about who you are, what you can do for them, and what they can expect from you. Think about this content as the “bones” of your site. What kinds of information do you expect to see on an estate planning website? What are the most common questions you hear from clients? What kinds of general information would be helpful to link back to when you need to talk about more complicated or specific issues? Wills. What is a will? What are the types of wills? Can my spouse and I draft a joint will? What happens if you die without a will? How can I execute a will? How should I pick an executor? What does an executor do? Advance directives. What is a durable power of attorney and who should hold mine? What is a living will? What is a health care proxy? Do I need a DNR (do not resuscitate) order? Trusts. What is a trust? What are the types of trusts? What are the benefits of a trust? Do I need a trust if I have a will? What do I need to know before naming a trustee? Do trustees need attorneys? Special needs trusts. What is a special needs trust? What should I consider if my adult child needs a guardian? Can I use a special needs trust for a spouse with special needs? Gifts. What is the maximum gift I can give without being taxed? How does the Uniform Gifts to Minors Act work? What is the Uniform Transfers to Minors Act? Probate. What is probate? How long does probate take in your state? Litigation. How can I challenge a will? Who can challenge a will? What can I do if I have been unintentionally left out of a loved one’s will? How do courts decide on ambiguous wording in a will? Estate taxes. When is an estate taxed? What is the generation-skipping transfer tax? What is a step-up in basis? General. Why should I work with an estate planner? What is the fee arrangement? What documents do I need to bring to our meeting? As you can see, we’ve first broken our ideas into major topic areas, then into questions that can be answered in individual articles under the major topic. To apply this method to your own website, sit down and determine your major topic areas, then write out the kinds of questions you need to answer. Plan articles that will answer each of those questions, and schedule them on your content calendar. Don’t worry if it takes months to create and publish everything you need at this stage because the investment is worth the timeline. Ultimately, all of this is “evergreen” content that will be useful and relevant on your site for years to come. Once the basic topics are established, you can do a little research to further flesh out your content. 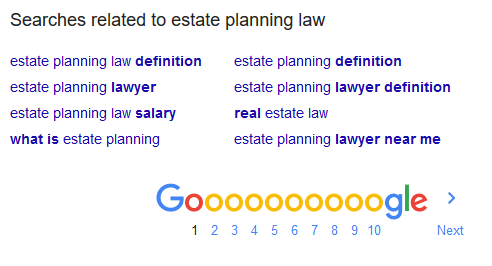 One great way to do this is to do a Google search for a generic term related to your practice, like “estate planning law.” This gives you several options for developing topics. First, you can look at competitors’ sites that rank highly and see what kinds of content they currently offer, as well as what more education-based sites (like Wikipedia) might have to offer when your potential clients perform a search. Google also gives you several options for digging deeper right on the search page. What all of that means is that, with a single Google search, you get essentially four different springboards for content ideas. Still Need Help Coming Up With Content Topics for Your Estate Planning Website? Ultimately, there are lots of ways to come up with new topics and ideas for content, and lots of those methods will work for anyone in any industry. Learn more about how to find topics for online content. Are you concerned about being able to do it all yourself? Do you need help planning a content strategy or writing online content to fit your perfect clients’ needs? You can always contact us today to talk about our coaching and content-writing services and how that might fit into your overall marketing plan. How can you create effective subject lines for email marketing? It doesn’t matter how relevant and compelling your email content is if people aren’t opening your emails in the first place. 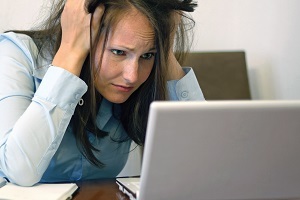 Are your subject lines the problem? Ultimately, subject lines are a key part of what captures attention, motivates people to open your email, and makes them want to learn more. They may only consist of five or ten words, but they are a powerful part of email marketing success! To make the most of it, every email you send out to your contact lists should feature a unique subject line that not only meets some basic functional guidelines, but also gives readers a reason to dig deeper. Don’t use spammy words or punctuation. At best, anything in a subject line that sounds overly sales-y is likely to make you look untrustworthy. At worst, your email will be filtered out and marked as spam. Stay on the safe side by avoiding excessive punctuation, buzzwords like “free” or “guaranteed,” words in all caps, and anything else that might be read as dubious in your subject lines. Keep it short. While opinions vary on exactly how long your subject lines should run, the consensus is that concise is typically better. Shorter email subject lines tend to be easier to scan and understand, so they’re more likely to grab readers’ attention. Plus, shorter subject lines are less likely to be weirdly truncated on mobile devices. Experiment and evaluate. Email marketing lets you hone in on narrow target audiences that are highly specific to your goals, so it’s important to track and test different ideas until you hit the “sweet spot” for your perfect clients. You might try a few different subject lines for each email campaign, and then modify your strategy based on how your unique audiences react. Find out more about how to evaluate and optimize your email campaigns. Once the basics are locked down, it’s time to think about what you can say—in just a few words—that will introduce your email content and compel readers to click. Open your favorite magazine, blog, or article site. Don’t be afraid to change things around or come up with your own formulas. In the end, you should have a great list of potential subject lines for your email campaigns! It’s okay to be creative and have a little fun with your subject lines, where appropriate. The most important thing is that you keep your audience in mind while creating them. Think about who you want to reach with your message. Think about what’s important to them and what motivates them. Always write subject lines that are meant to be read by real people. Do you need help writing stronger subject lines? Do you have questions about how to succeed with your email campaigns? Don’t hesitate to reach out to our marketing experts to talk about how we can help you optimize your email marketing success. How can I use my website's content to build trust with potential clients? When potential clients search for an attorney or doctor online, they are usually confronted with a problem and confused about whom they can trust. That means that the content you choose to feature on your website—and how that content is presented—can have a big impact when someone needs your help. Does your content make you seem trustworthy? Are you offering what your potential clients need? Here’s how to make sure the content on your website is ready to make a positive impression. Helpful answers. Most of your potential clients will find you because they had a question and typed it into a search engine. Think about the most common questions you hear from new clients, and put yourself in your potential clients’ shoes. Create content that provides answers and points readers toward the next step. If you can provide helpful and relevant answers to their questions, then they will be more likely to trust you and turn to you for advice. You’ll also be more likely to show up in search results for people who need your help. Relevant video. Don’t underestimate the power of video content! This is your chance to let clients know that you are a real human being who is available to them if they need help. Videos can do a lot to show clients what your brand is all about, who you are, and how you can help them solve their problems. With videos, you can get a lot across to viewers in a short amount of time, which is especially great for mobile users. An idea of what to expect. Many potential clients who are facing legal or medical troubles are anxious about what to expect and how long it might be until they see some resolution. Offering this information up front can go a long way toward making your potential clients feel more comfortable and in control. Let them know what your first meeting might be like. Show photographs of your office and staff. Explain what they might need to bring with them or what they might be expected to do. Explain your payment policies. Let them know what kind of timeline to expect. Being straightforward and transparent with your potential clients from the start helps them feel at home and positions you as a trustworthy professional. Prompt responses. You need to be quick to respond online because people won’t wait around. Your content pages should load quickly, both on desktop and mobile. If a current event or change in the law is making waves in your community, providing more information and immediate responses to questions can establish you as the authority to turn to with legal problems. If someone reaches out to you after reading your online content, you should be there to answer him. Let people know that you are paying attention and that you are there for them exactly when they need you. How you present your content matters, too. Make sure that you write with the reader in mind. Make your content easy to scan and understand. Break up “text walls” with headlines and relevant images, and make sure everything looks great on the page. Your most important content should be easy to navigate to from your homepage, and it should also be easy to get to related content on your website. Overall, aim to create a positive user experience on your website that lets your potential clients know that you care about them. 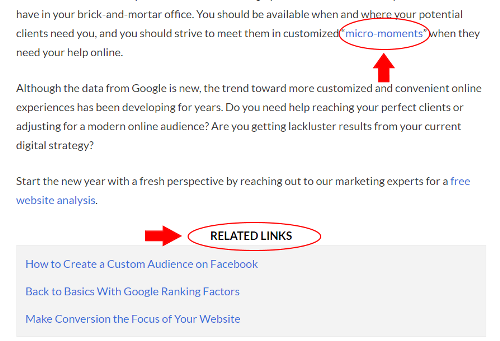 Connecting relevant content on your website helps establish your authority and lets readers know that you have much more to offer. The more you allay fears, show your human side, and demonstrate your expertise in your online content, the more likely it is that your potential clients will feel at ease and trust in your legitimacy. If you need help writing attorney website content that establishes your credibility, contact our digital content experts for guidance or sign up for a free marketing analysis.